When you get VAC banned, not all your games in your Steam Account get banned, you usually get VAC banned from the game you cheated in, but there are a few exceptions. Click here for the full list of games which uses VAC. 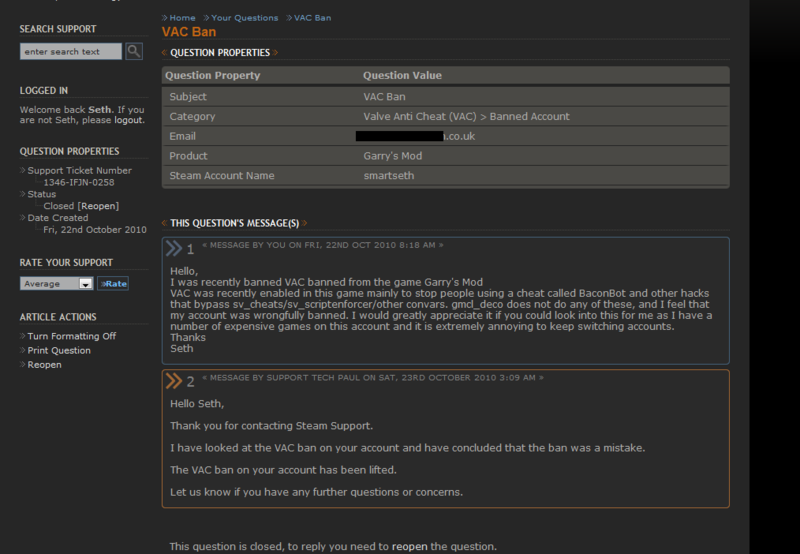 Since VAC2 (2005), all VAC bans are permanent. Before, with VAC1, there used to be 5 year bans and 1 year bans. Some people have been unbanned recently because they had 5 year VAC1 bans, and we got them in our database because their VAC status was checked by our site before their unban. Those who have been recently unbanned can be found in the VAC unbanned list. 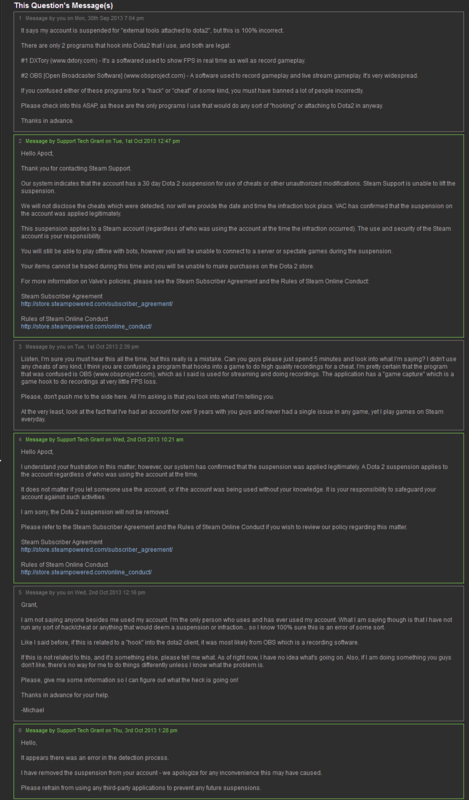 Some Steam accounts have been deleted because they had no games and no one logged into them in a long time. But, you might ask, why are they VAC banned if they had no games? That's because they had a game using VAC with Guest passes, free weekends, etc.